Have you ever wanted to run your own business? It is a prospect that can be truly exhilarating and unique for many reasons. But isn’t it also risky? Isn’t it true that hundreds of thousands of dollars are needed to start a business? The answer to those questions is typically yes, and because of this many gravitate instead towards franchise opportunities. However, most people want to own a business because it allows the freedom that just isn’t available in typical jobs. A traditional franchise may be the answer—and it might not. For those who want to own a business with minimal risk of failure, the idea of a traditional franchise is music to their ears. However, a risk-free venture is not completely feasible for many reasons. 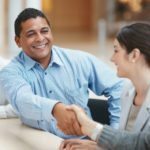 Moreover, many who run franchise-owned businesses feel that they aren’t really in charge of the decisions—they are still an employee. The biggest factor in attracting new franchisees is an established business model that the parent company has already implemented. However, this can severely limit how the business can be run, right down to the hours it operates and the product placement. This can be very frustrating to those who want to step out from under the corporate wings and fly solo. For those who are attracted to the franchise’s business model, that benefit comes with strings attached, namely in fees. One of the biggest downsides of owning a franchise is the overwhelming amount of fees. The franchisee is often expected to pay large, up-front costs and then pay a mountain of recurring fees—even prior to earning a profit. A new franchisee needs to plan in advance for these fees to prevent drowning before they can learn to swim. 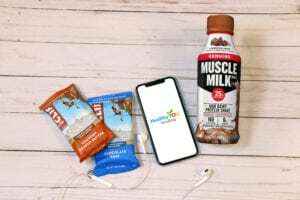 How is HealthyYOU Vending different? 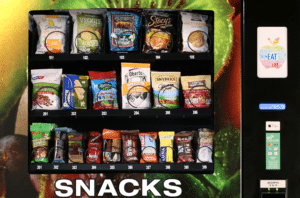 HealthyYOU Vending is a better option than the traditional franchise for several reasons. First of all, forget the ridiculous fees. 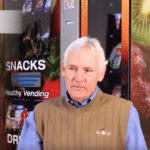 It’s certainly important to us to build our brand and have it recognized, but we believe a key factor for success is to create opportunities that provide our vending operators with ingredients for happiness and growth at their own pace—not ours. Any successful company knows that their success is only as good as the passion of those who run it. We want our vendors to love what they do and share our passion. Moreover, placing vending machines is far less expensive than opening a brick and mortar location—and did we mention easier? In addition to its affordability, HealthyYOU Vending is a better opportunity because we offer unlimited support to our vendors. We do all we can to provide a lifeline of support and encouragement that fosters a positive experience. 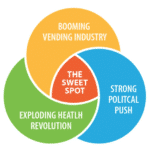 With HealthyYOU Vending, freedom is the name of the game. We don’t like to be confined by agreements and restrictions either. Starting your own business isn’t about being told what to do—we encourage our vendors to go at a pace that is right for them. As much as we love our business we recognize that not everyone can do it full-time. Some vendors find happiness in running only a few machines while others thoroughly enjoy a route of many. It’s up to you! We’ve gone the distance and made life even easier for our vendors by providing unique monitoring software. You can remotely monitor what items have been purchased so you know what needs to be stocked and which items are more popular. We don’t believe in hauling around unnecessary product. Have what you need, when you need it. HealthyYOU Vending takes the guesswork out of running your own business and we’ve given you the reigns to control your business growth. 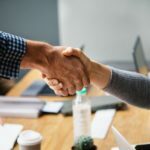 We’re available for support when you need it and we believe in community and invite our vendors to be the central part of a family-like network. 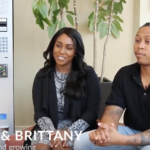 The HealthyYou Vending experience is about passion, freedom and growth as a company, but on an individual basis for those who are striving for higher potential and a higher standard of living.